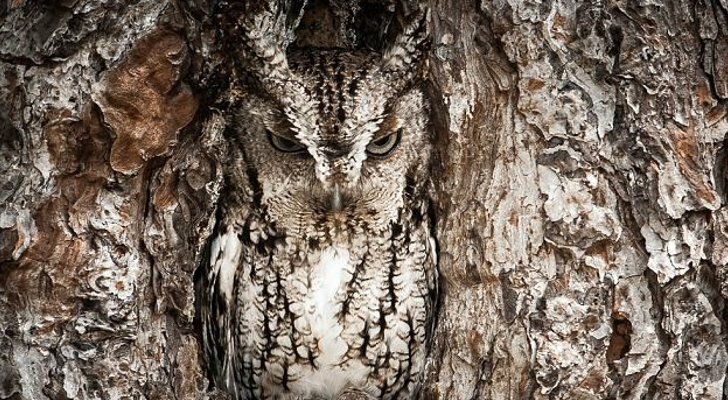 Many animals use camouflage, either to avoid capture or to aid them when they are hunting. Hunters employ animal tactics every time they go out, blending in with their surroundings, staying downwind of their prey and reading the environment that they are in. In a SHTF scenario all of us need to learn these techniques, our lives will depend on it. We have all seen people who make an impression on us, the stunning woman walking up the street, the hunk of a man chatting on his mobile. Or maybe we remember an individual because they are ugly, or drunk or because they smell good, or bad. Regardless of the reason some people just stick in our minds. The name of the game in a collapse situation is not to become one of those people. Those that survive long term will be those who blend in , those who go un-noticed. This sounds simple, but it’s not. Things that you have spent a lifetime doing, normal, everyday things could easily attract attention to you in a disaster situation. Just your clothes could make you stand out. If people are hungry, if you know food is in short supply, wear something a size too big when you go out, it implies you have lost weight, and the bagginess makes it less likely that a weapon you’re carrying will be noticed. These clothes should be bagged up when you return home. They must not be allowed to come into contact with cooking smells. You may not notice the smell lingering on them, but a starving man would. The same goes for the smell of soap or laundry detergent, those smells say you have ‘stuff’ that people might be able to barter for food. Those smells make you a target. Looking spotless when everyone else has a months grease in their hair says you have access to water to wash in, you will look different, you will smell different, you will become a target. You need to look like everyone else, and preferably smell like everyone else. If you have a vibrant head of red or platinum blond hair consider wearing a hat, nothing about you should stand out, nothing should be memorable. Blending in can also allow you to gain ground. As a prepper you are very aware of what you need and what you don’t. You will hopefully be better prepared mentally and physically than the majority of those around you. Not sharing their desperation about food and water you are in a good position to notice things that others will not even consider at that point. While the masses are considering where their next meal is coming from you may be looking at what you can use from the fixtures and fittings that have been left behind, you may have seen roof tiles in a yard that would allow you to keep your home repaired as time moves on. Just as you need to blend in so does your home, particularly if you are in an urban or semi-urban environment. we all know we have to be aware about light from our windows and smells from our kitchens but having your home blend in goes further than that. If your immediate environment is littered with broken glass and tin cans make sure the frontage of your property is similar. If you have a dog, excrement at the front of the house says, uncared for, unclean, nothing different here to the rest of the street. Remove anything from the front of the house that may be of use to others, you want to keep people as far from your door as you can. Not attracting attention to yourself or your home buys you time. It suggests to those looking for food, water and anything else they can find that you have nothing, which encourages them to move on and look for richer pickings. Psychology will play a huge part in a collapse scenario, not just your mind set, but that of those around you. Humans tend to react in given ways to given stimuli, remove that stimuli and you more often than not remove the desire to react, and that will be a very useful tool when disaster strikes.